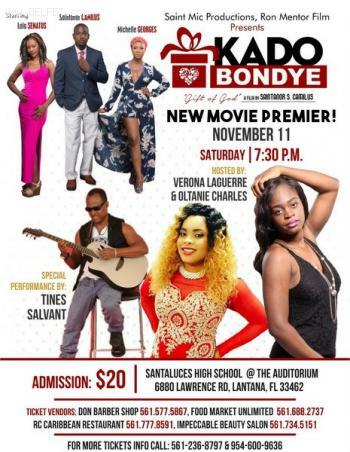 St Mic Productions and Ron Mentor film presents the Lantana Movie premiere of KADO BONDYE, a new film by Saintanor Camilus, Saturday November 11th 2017 at 7:30 p.m. The event will be hosted by Verona Laguerre and Oltanis Charles. Special performance by Tines Salvant. Come meet the cast of the movie.